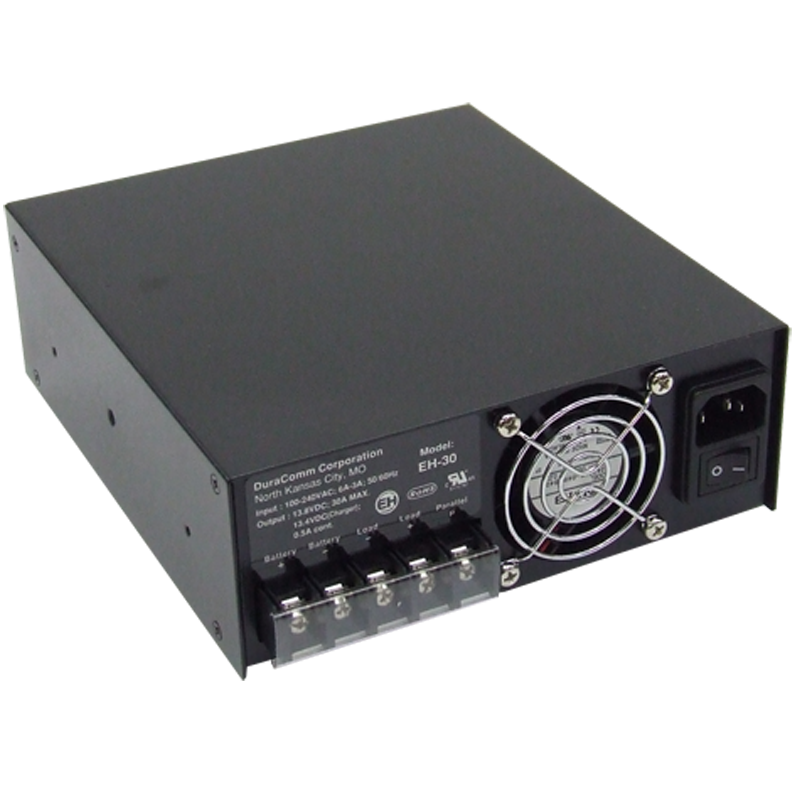 The Environmentally Hardened EH-30 desktop power supply is UL&CUL recognized and manufactured to ISO 9001 quality assurance standards. 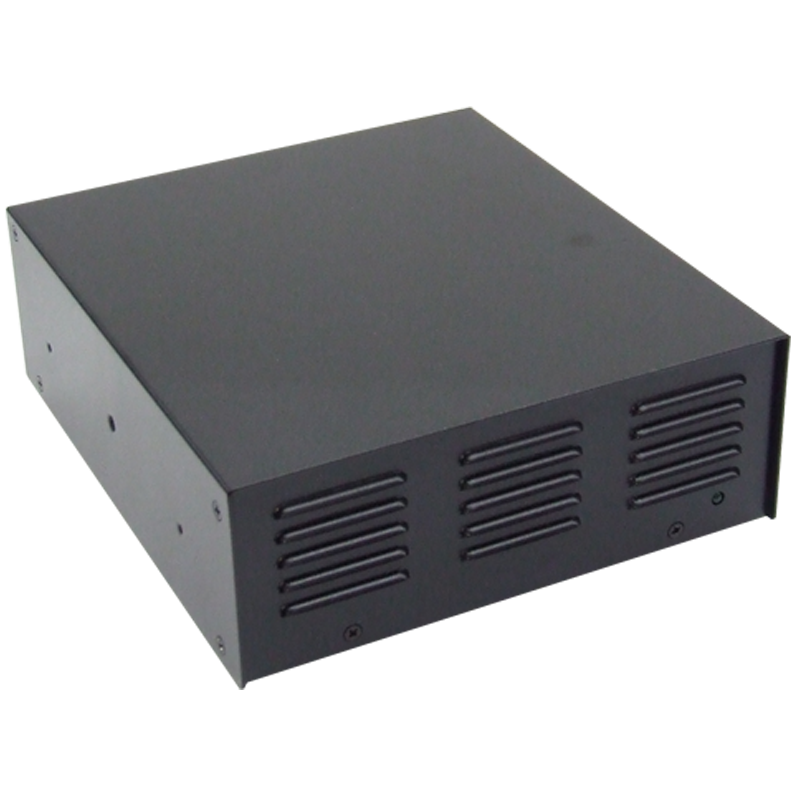 These power supplies convert AC to DC output into low noise and ripple, regulated 13.8 volt DC output for channel 1 and 13.4 Volt DC for channel 2. 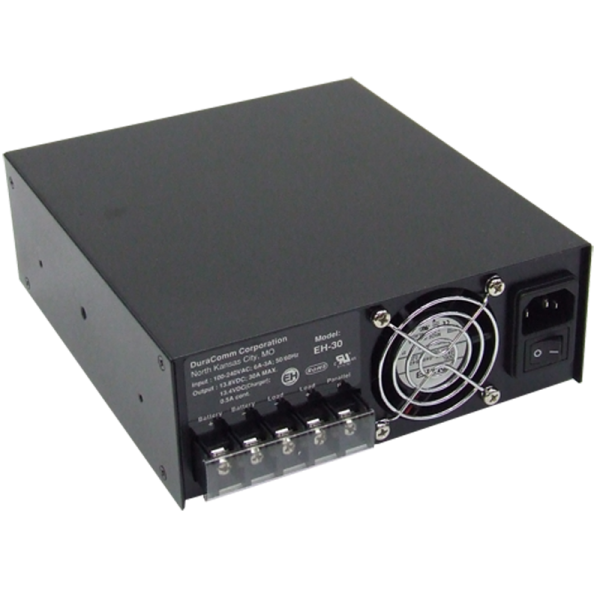 The EH-30 has a built in battery backup and charging circuit with diode isolation for seamless transfer to battery if input power is disrupted. 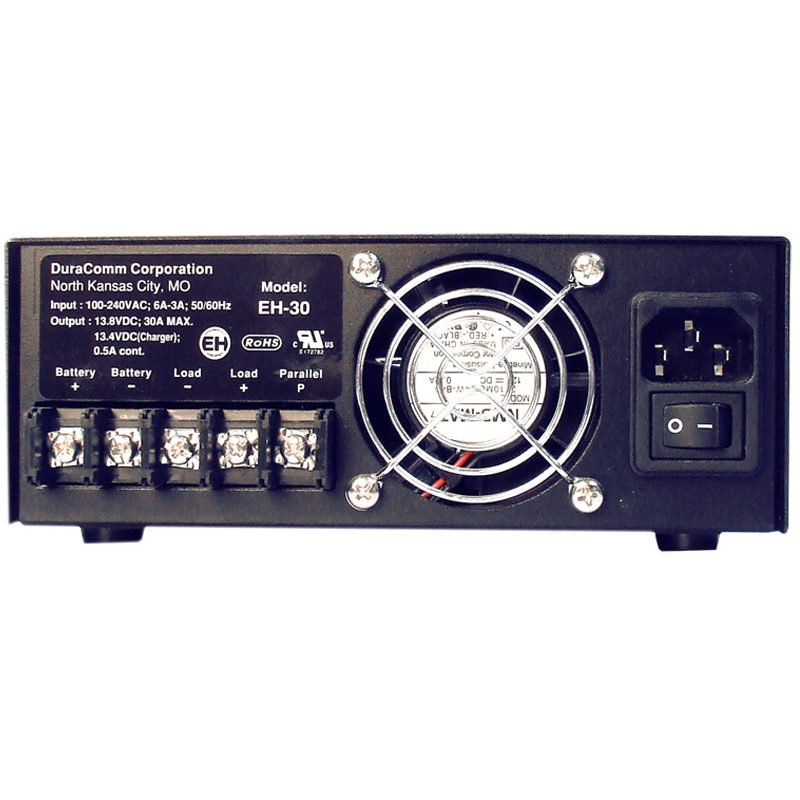 Once input power is restored the EH-30 will automatically recharge the battery with 0.5 amps of trickle charging. 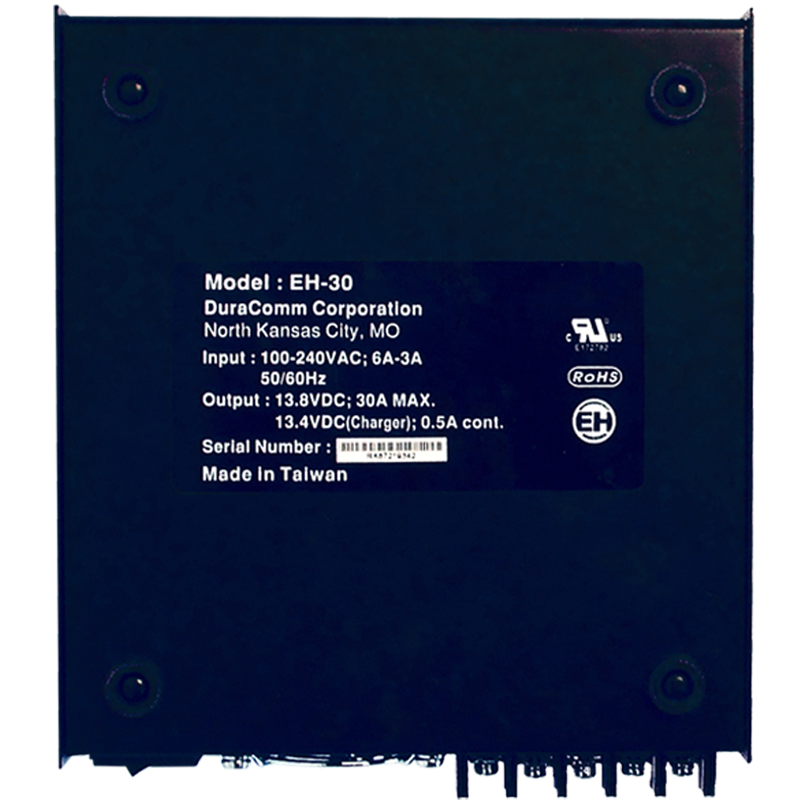 The EH-30 contains a parallel circuit which provides for connection to another EH-30 for load sharing. 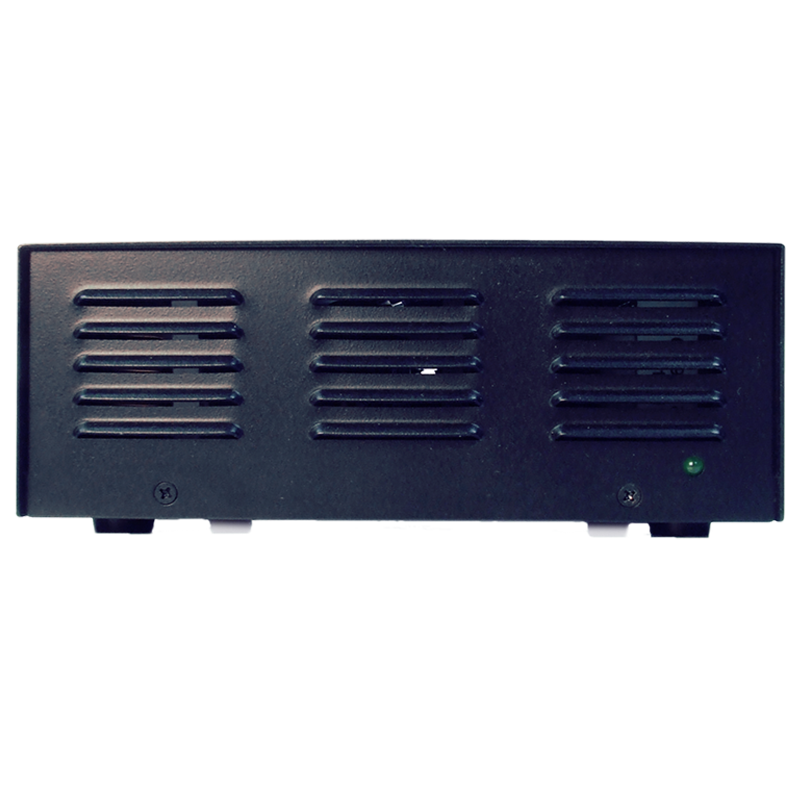 It also contains active Power Factor Correction for energy savings.